Every year there are always a plethora of new cameras and lenses that flood the market. Especially with digital cameras, we expect to see an upgrade at least every year or every other year. It is like buying a computer they only have a life expectancy of around 4 years. I find most photographers to upgrade their digital cameras (myself included) every 4 years (or most cases less than that). I think that there are certain cases in which it does make sense to upgrade your digital cameras. For example, I think that the new Fujifilm X100S is worth the upgrade from the Fujifilm X100 (as the autofocus speed is now blazingly fast). Also getting a micro 4/3rds such as the Olympus OM-D is also much more convenient than lugging around a huge DSLR. However for most cameras, the incremental shifts we see are very minor. Sure they may offer more megapixels, slightly better high-ISO performance, video functions, and all these other bells & whistles we don't really need. One of the things that I love most about street photography is that we don't need uber-good image quality or high-ISO performance. Sure if you are a fashion photographer or a landscape photographer this may be important – but I still know many street photographers (check out the Mobile Photo Group) who use iPhones and take incredible photographs. A concept I wrote in my last post brought up the idea of the "hedonic treadmill" – in which we always want the newer, the better, and the more improved. The sad thing however is that once we get the shiny new camera, we enjoy it only for a few weeks – and then get accustomed to it and it doesn't feel special anymore. For those of you who have bought new cars in the past, I am sure that the first few weeks/months of having the new car is a joy. Then after that, you get used to it – and simply want to get something even fancier. If you want to upgrade your camera for street photography, think if your decision is because the camera is holding you back or if it for upgrading for the sake of getting the newest. I want to clarify, this article isn't about the fact that you should never buy a new camera for street photography. After all, digital cameras are like computers their shelf life tends to only be around 4 years. This is why I personally switched to shooting my personal street photography on film - as I know that my Leica MP will never get outdated (it is already outdated). Realize that there is no "perfect" camera for street photography – every camera has its pros and cons. If the camera has better image quality and high-ISO performance, it tends to be bigger and bulkier. 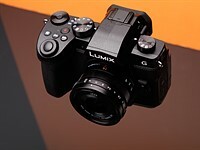 If the camera is more compact and portable, it tends to be lower in terms of the image quality and high-ISO performance. There will always be a trade-off, just think about what attributes of a camera is valuable for you in terms of how you shoot in the streets. I think one of the worst things about purchasing new cameras is buyer's remorse and the "what if" questions. Rather than regretting your purchases, think about the positives and learn to adapt with it. After all, regardless of how good (or poor) your camera, you will become adapted to it. Above all, don't buy new cameras for the sake of them being new. Most of the new functions are quite trivial (better LCD screens, video function, extra buttons, etc). Save your money and rather use the money on a nice street photography vacation/trip or buy some street photography books. At the end of the day, the most important thing is to have an attitude of gratitude. As photographers, we should always remind ourselves how fortunate we are even to have a camera. In a world in which so many people can barely even pay their rent, utilities, and food we still have enough spare cash to afford a camera. We are truly blessed. One of the questions I get asked most is what camera I recommend for street photography. I remember when the original Fujifilm X100 came out, it was a superb camera in every regard (except for the slow autofocus). 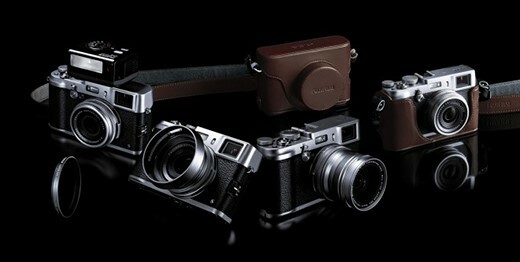 Now with the new Fujifilm X100S, the autofocus is insanely fast (Fuji claims it to be the fastest in the world). Based on my experiences playing with the X100S for a day, I can attest it is as fast (if not faster) than the Olympus OM-D (which is also an amazing camera). I also think that for the majority of street photographers, 35mm is an ideal focal length. 50mm tends to be a tight when shooting on the streets, and 28mm is too wide for most people. Not only that, but it is extremely light, has superb image quality (and high-ISO performance in the ASPC-sensor), and an optical finder. In terms of price, it is also probably the best bang-for-the-buck camera for street photography at the moment. To be quite honest, I don't see any flaws with the camera. Sure it would be nice if there was a real manual focusing tab on the camera (maybe the next generation of the X100 will have it) but I assume most street photographers would use autofocus on it anyways. I have a lot of people asking me for recommendations for film cameras for street photography. I have been using my Contax T3 a lot recently (love the compact size, image quality, and auto settings) but I still would choose my film Leica at the end of the day. Why? Film Leicas are indestructible, reliable, and can operate without a battery. 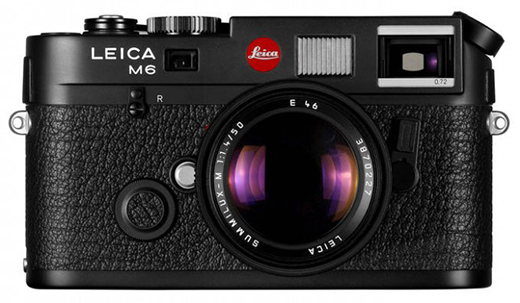 The Leica M6 is definitely the best bang-for-the-buck film Leica you can get. It is has a meter, all the frame lines you need, and is quite compact and light. I loved my first Leica M6 (thanks to Todd Hatakeyama for giving it to me as a gift) but I ended up upgrading to the Leica MP after I sold my M9. The MP and the M6 are pretty much the same camera, except the MP is newer and thus more reliable (which helps when I travel). In terms of the lens, the Voigtlander 35mm f/2.5 lens is the best bang-for-the-buck lens you can get. It only costs a few hundred bucks, is one of the smallest lenses I've used, and is very sharp as well. 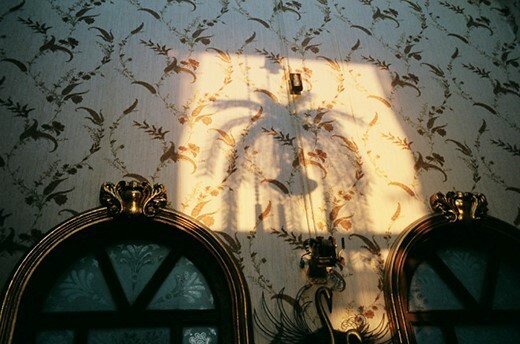 For buying any film cameras, I highly recommend Bellamy Hunt (Japan Camera Hunter). I get all my stuff from him, and I love the peace-of-mind he gives me (he personally makes sure all the cameras work properly and are in good condition). I am a big fan of compact cameras for street photography. Why? Because you can carry them with you everywhere you go (which will make you more likely to take photos). Not only that, but they tend to be the least threatening and conspicuous cameras to use on the streets. For digital, I recommend the Ricoh GRD IV. It has a very sharp 28mm lens f/1.9 lens, one of the most comfortable grips I have used, and easy functions to pre-focus on the street. 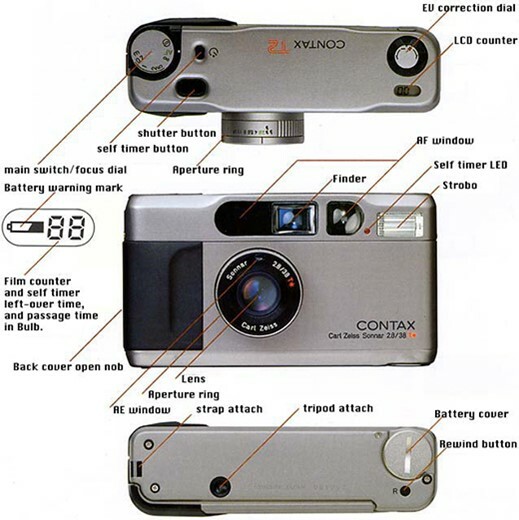 For film, I recommend the Contax T2. 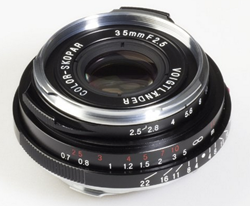 It has a sharp Zeiss 38mm f/2.8 lens, zone-focusing abilities, and is built like a tank. 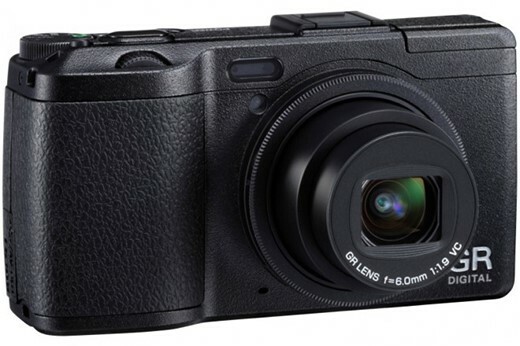 It is a superb bang-for-the-buck camera. The Contax T3 is quite similar, except it has a 35mm lens, is a bit more compact, but has worse handling (it is like holding a bar of soap). For further reading on decision-making processes, I recommend Barry Schwartz's 'The Paradox of Choice' as well as Daniel Kahneman's 'Thinking, Fast and Slow'. Both have changed the way I have made decisions in all aspects of my life. 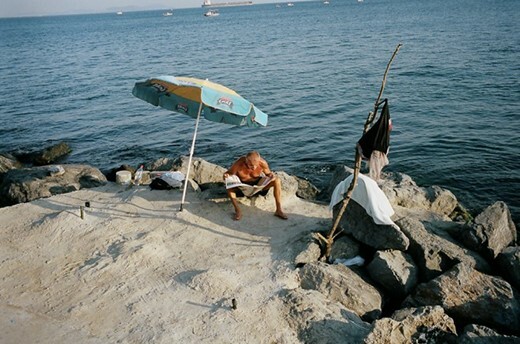 Eric Kim is an international street photographer who has a passion for traveling and teaching. You can follow him on Facebook and Twitter. Read more articles about street photography on his blog and also check out his upcoming street photography workshops.